Tool bags are probably the best way to organize and keep the tools you use most within arm’s reach, however, they also have a habit of getting in the way when you are working in tight spaces. The TrakBelt360 is a new tool belt design that lets you load up on your most used tools, and then rotate them out of the way when they are in your way. The system works by using the specially designed TrakBelt360 along with universal pouch connectors that allow the user to use their existing tool bags. Combined, the patent pending system lets users rotate their tool bags a full 360° in either direction. 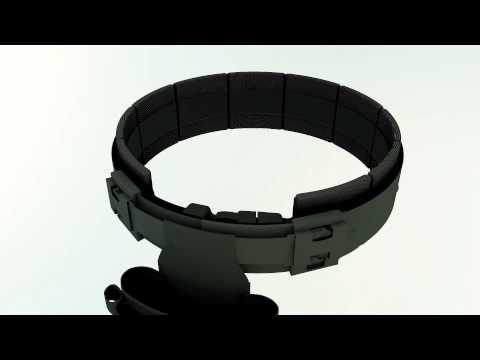 The TrakBelt360 is up on Kickstarter seeking funding to take it into production, with a goal of $35,000. It seems like a lot to raise for a tool belt, but the good news is that they have already raised over $32,000, and they still have 25 days to go. I think the reason it is doing so well is that it also makes a great photographers belt, which is good news for us tool lovers. A pledge of $60 is the base price for the TrakBelt360, a tool pouch, and two pouch connectors. Get a better understanding for the versatility and functions of the belt in this brief animation clip.